OMG!! This is a must have for any Gingerbread lover! 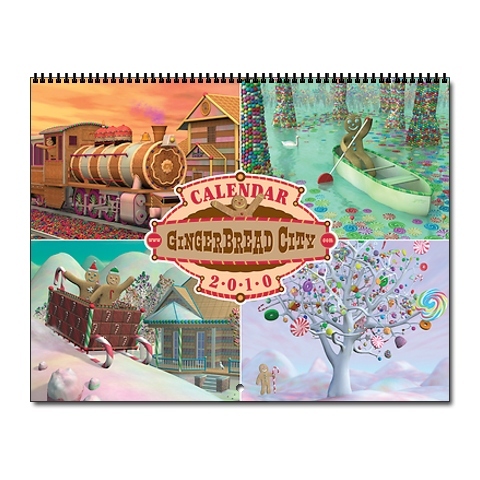 From sugary hills to gumdrop roads, enjoy 12 months of Gingerbread folks living the sweet life with a 2010 wall calendar. Each month is “themed”with Gingerbread and so very sweet – Gingerbread rollercoaster, Gingerbread Halloween pumpkins, Gingerbread Gondolier in Venice, Italy too! I have mine ordered and I can’t wait to put it up in my office. Details here.